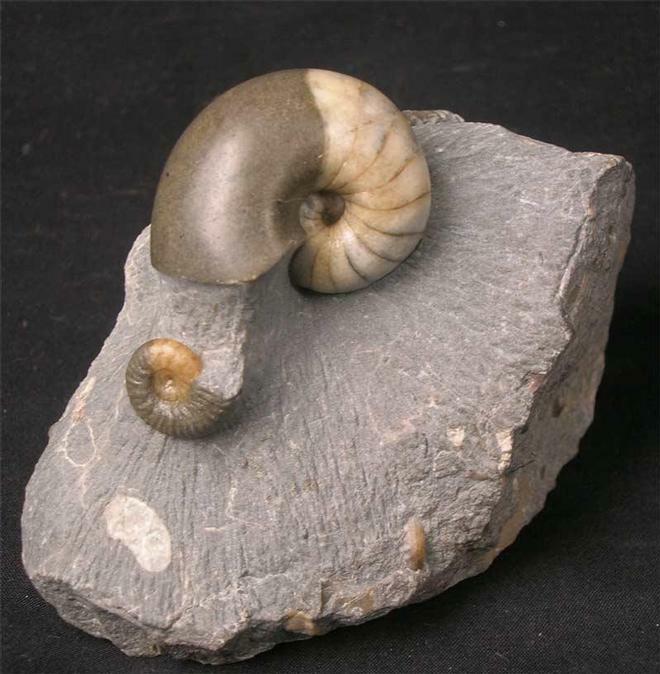 This very rare and complete juvenile Nautilus will make an important addition for the collector. 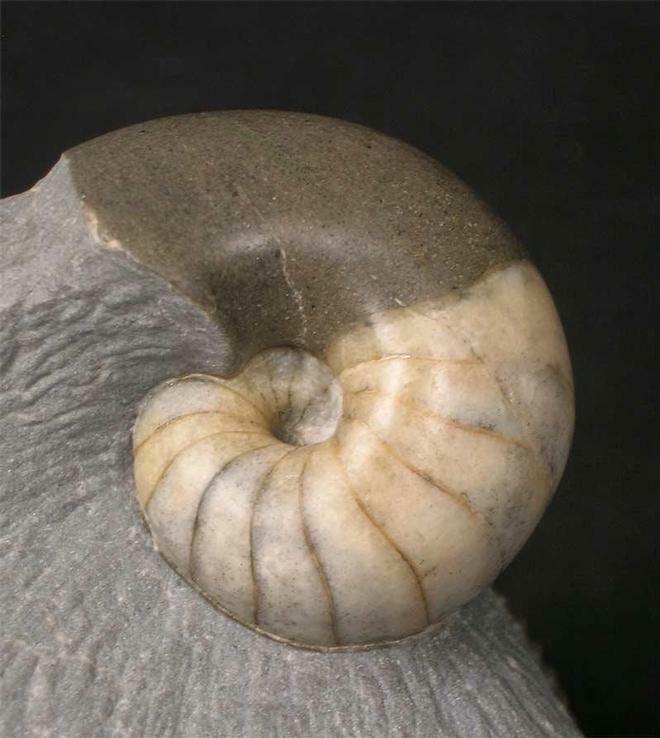 Fossil Nautilus are incredibly scarse from this classic locality. 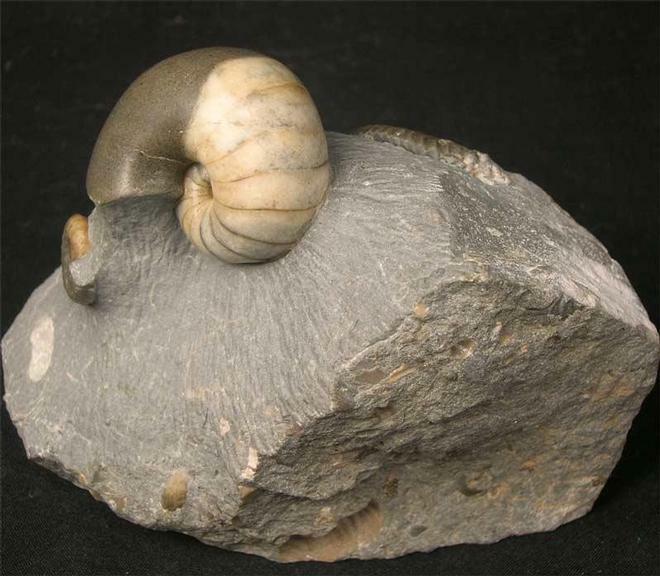 There is also a small Graphoceras sp near the aperture. 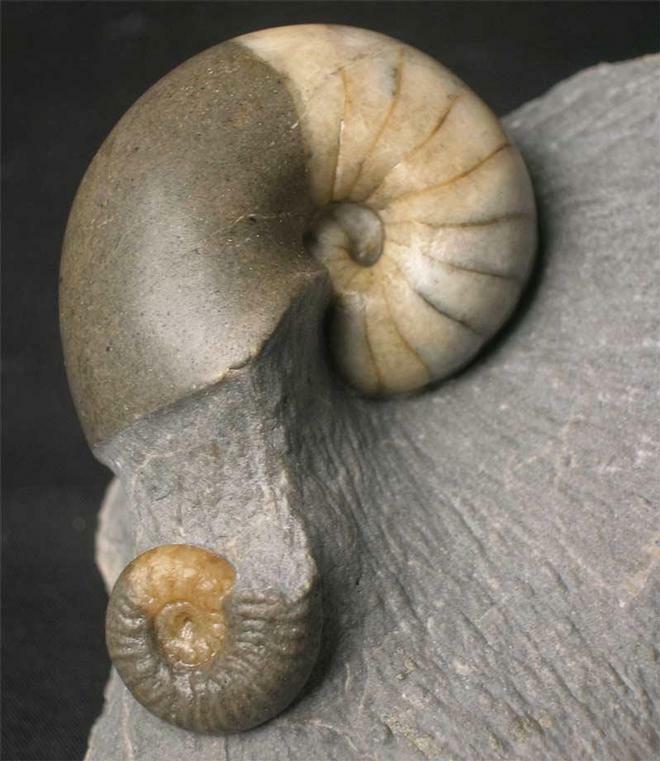 This fine specimen was discovered in 1988. The Nautilus has been fully prepared and lies in a chunky aesthetic piece of limestone which also has a cut base for ease of display. Approximately 175 million years old.